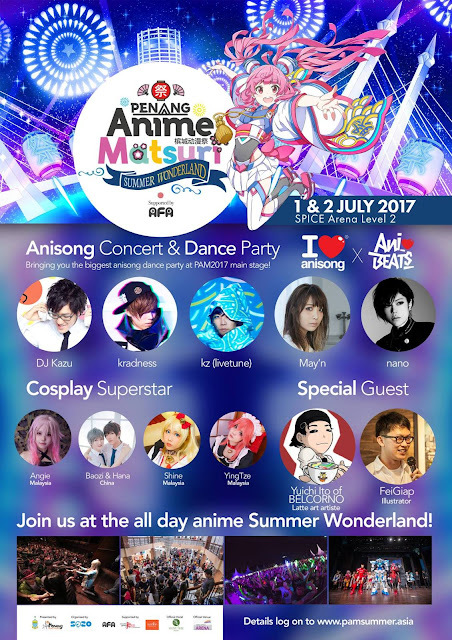 Get ready to join the third edition of all-day anime Summer Wonderland at Penang Anime Matsuri 2017 (PAM 2017) this coming July. 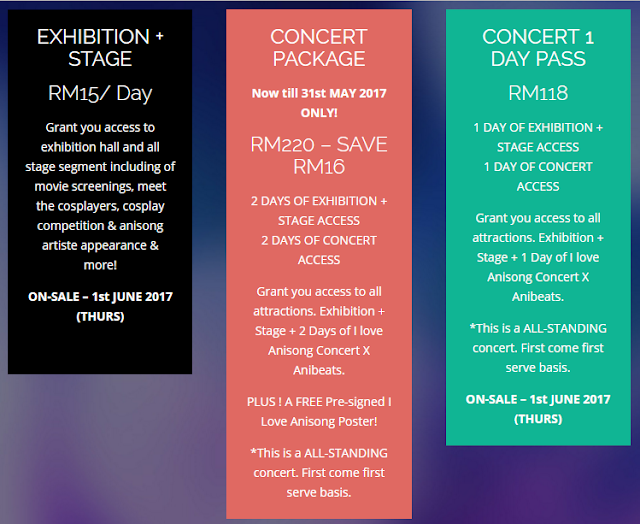 One of the biggest and highly-anticipated event in Malaysia, PAM 2017 will feature the nation’s biggest Anisong party, a showcase of some of the best cosplayers from the region, and catch the screenings of the latest anime movie! Supported by Penang Global Tourism and organised by SOZO Pte Ltd with support from Anime Festival Asia, the annual summer festival for anime fans will take place on 1 and 2 July 2017 at SPICE Arena, Level 2, previously known as the Penang International Sports Arena. The festival is set to welcome J-Pop star May’n who is known for singing the theme for many anime series including “Accel World”, “Blood Lad”, “Hidan No Aria”, “Macross F”, and more! 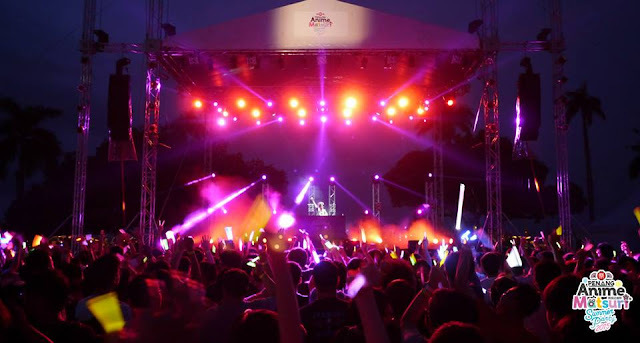 She will be joined by popular cover singer kradness who is known for his killer “high-tone” voice, and who has previously been down in Malaysia for Comic Fiesta. However this will be his first time in Penang. 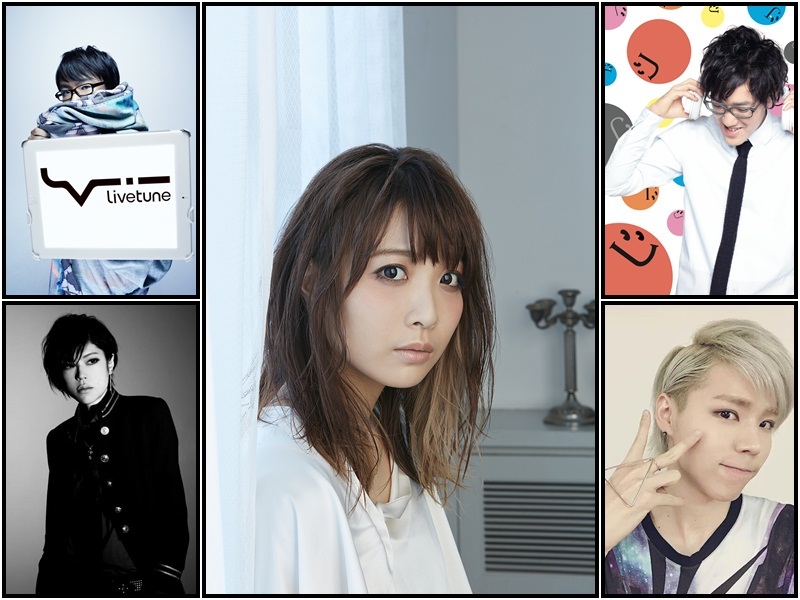 Apart from May’n and kradness, the festival will also bring in some first-timers in the country such as Dj Kazu, kz from livetune, and pop-rock singer Nano. Of course, what’s an anime event without cosplayers? Get ready for a meet and greet session with local cosplay superstars Angie, Shine, and YingTze as well as Baozi & Hana from China who certainly are no strangers to Malaysia. Movie screenings, anime exhibitions, artiste appearance, cosplay competition, workshops and many more – it is a must-not-miss anime affair! Ticketing details are as below, and they can be purchased via pam2017.peatix.com.